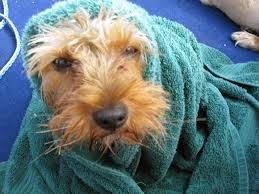 Do you have worn or stained blankets, towels or sheets? Let’s put them to good use! Please bring them to the Green Tent on Sunday, February 1st. 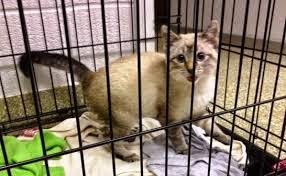 Our guest, the new MVCC Committee on Aging in Place will collect and donate them to the West LA Animal Shelter and other local animal rescue organizations. Stained, frayed, torn...not a problem! They just need to be laundered. Please bring them in reusable shopping bags for easy transport. Once emptied, the bags will be donated to the Mar Vista Farmers' Market share-a-bag station. With or without items to donate, please stop by and learn about the work the Aging in Place Committee is doing. They would love to hear what your concerns are for aging in place and invite you to sign up for their eblasts. The Aging in Place committee meets the third Thursday of each month at Windward School (11350 Palms Blvd.) in Boardroom 800. Contact sherri.akers@marvista.org for more information. Be sure to stop by the Green Tent this Sunday between 9:00 & 1:00 for a garden tune up session with the UCCE LA County Master Gardeners. 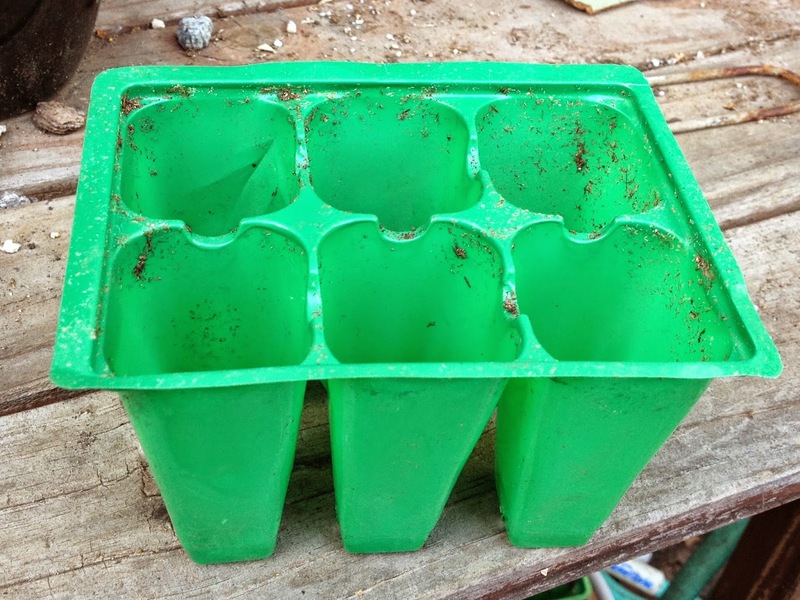 FREE plants, FREE seeds and your questions answered. This month, the MGs are bringing along Swiss Chard, Heirloom Broccoli Raab (rapini), Cilantro, Frisee (ruffled edge salad greens), Heirloom Stir Fry Greens, Snap Peas (the chunky ones) and Snow Peas (think stir fry) - both of which you eat pod and all, some more lovely blue Borage (flowers, herb, tea, medicinal uses), Red and Green Lettuces, and for your cats, Kitty Grass! No! 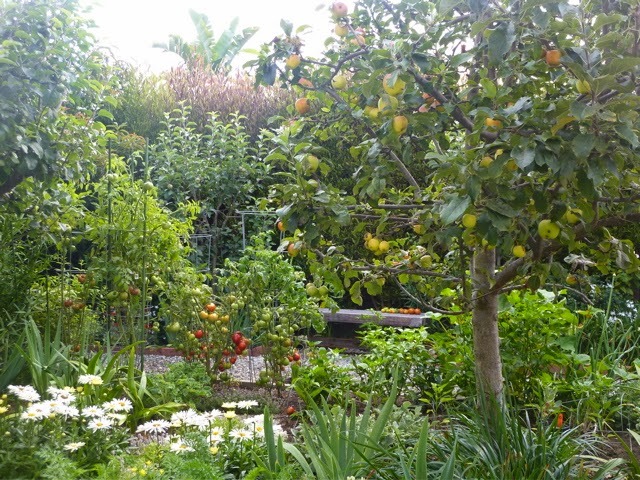 But stop by the Green Tent this Sunday to learn about the 2015 Mar Vista Green Garden Showcase. There'll be maps of the featured neighborhoods and some photos of what you'll see. California native plants, edible plants, cacti and succulents, chickens... all of these and more will be featured at this year's Showcase on April 25. 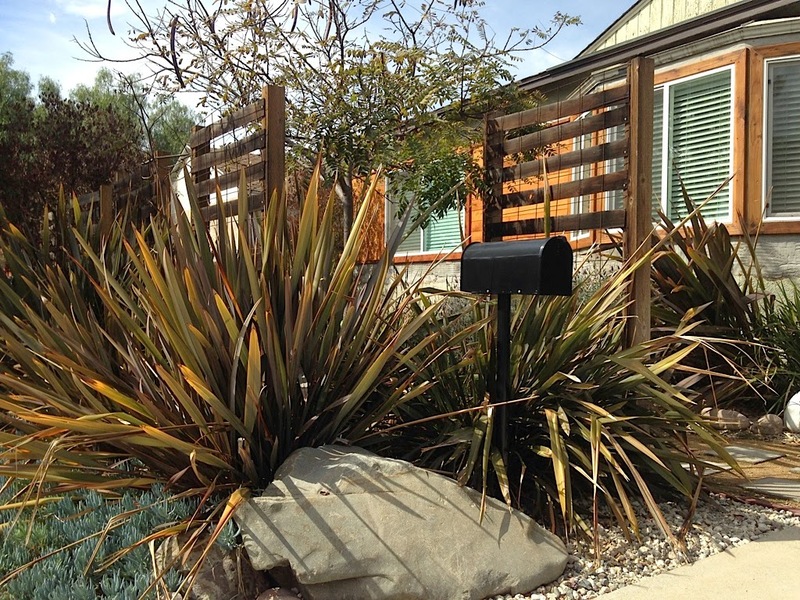 You can also learn more about what makes a garden "sustainable," how to apply for the DWP rebate for taking out your lawn, and how to obtain and use a rain barrel. Sign up to volunteer! The Garden Showcase is organized by volunteers. The committee can use your help! Contact: green@marvista.org. Rain Barrels, January 11 - SOLD OUT! Congratulations - we did it again! We are completely sold out of 280 rain barrels! Stay tuned for info details for our next rain barrel sale at the Water Wise Expo on March 29th. 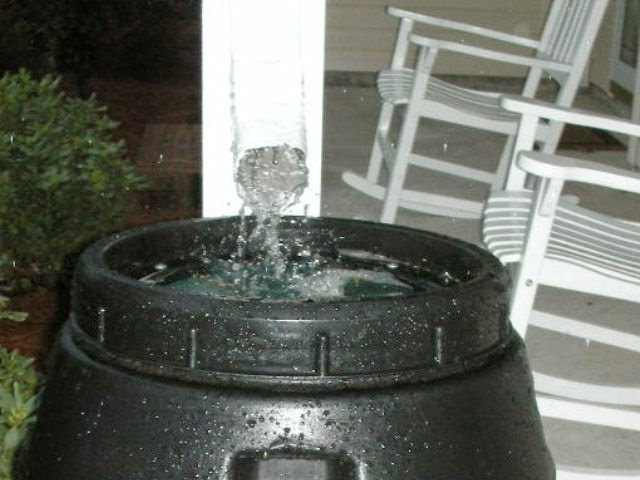 If you ordered a rain barrel, pick it up Sunday, Jan. 11, 8:30a.m. - 12:30 p.m. in the Grand View School parking lot (3871 Grand View Blvd.). Click here to pre-order yours - the supply is limited and will likely be sold out before Sunday. Stop by the Green Tent to ask the experts about rain barrels. Tree People will be on hand to tell you everything you need to know about rain barrels: installation, care, how to paint them. They'll also have lots of water saving tips. 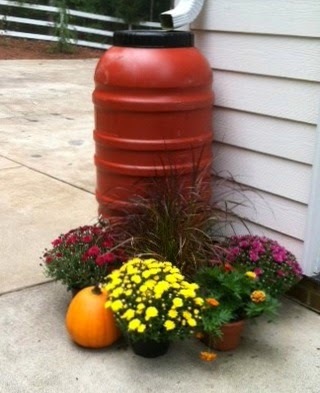 And you'll have an opportunity to see what the rain barrels look like.